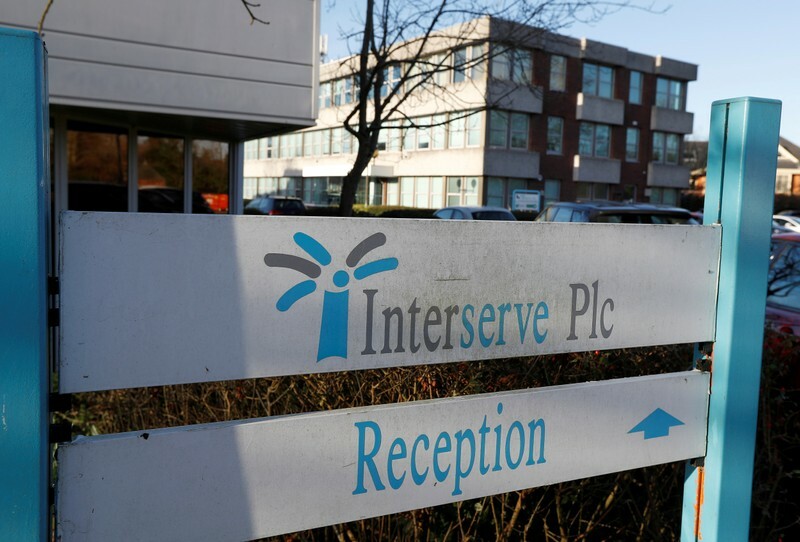 LONDON (Reuters) – Interserve, one of the British government’s biggest contractors, is set to go into administration on Friday after shareholders rejected a rescue plan for the heavily indebted firm. The provider of public services ranging from school lunches to hospital cleaning, which employs 65,000 people including 45,000 in Britain, said it will file for a ‘pre-pack’ administration on Friday under a plan overseen by EY. A pre-pack process enables the sale of assets to a new owner and Interserve said in a statement that its lenders were lining up to buy them and enable it to operate “as normal” for the time being. “This announcement will not affect jobs of the provision of public services delivered by Interserve,” a spokesman for the Cabinet Office, which oversees government contracts, said, adding it was in close contract with the company. The turmoil at the debt-laden firm raises fresh questions about the resilience of Britain’s outsourcing sector, just over a year after its rival Carillion collapsed into liquidation. Debt-laden Interserve ran into difficulty after a string of ill-advised acquisitions and loss-making contracts. The GMB union, which represents Interserve workers, called for an end to the “disastrous experiment” of outsourcing. “Shambolic mismanagement is putting jobs on the line and services in jeopardy. Our public services can’t go on like this,” the GMB said in a statement. Tony Williams, a construction analyst at Building Value, commented there was “nothing wrong” with outsourcing, but the likes of Carillion and Interserve had squandered too much cash on “misguided and expensive acquisitions”. “Trying to be all things to all people is an impossible and dangerous strategy,” he added. A debt-for-equity rescue package proposed by the company’s lenders at a general meeting in central London was opposed by 59 percent of Interserve’s shareholders. The plan would have handed Interserve’s lenders 95 percent of the company in exchange for cancelling 485 million pounds ($642 million) of its debts, with existing investors’ holdings diluted to 5 percent. Interserve had said on Tuesday that the proposed pre-pack transaction would achieve broadly the same outcomes by exchanging the same level of debt for shares and injecting 110 million pounds of additional liquidity. The firm’s lenders are RBS, HSBC, BNP Paribas and hedge funds Emerald and Cerberus. Glyn Barker, Interserve’s chairman, warned against forcing it into administration ahead of the vote, arguing it would be more disruptive and costly and wipe out all shareholder value. Interserve’s largest shareholder, U.S. hedge fund Coltrane, which owns a 28 percent stake, had opposed the rescue plan after Interserve rebuffed an alternative proposal as unworkable. A representative for Coltrane at the general meeting declined to comment on the situation, other than saying “I voted for Donald Trump” when asked how the firm had voted. Interserve shares were heavily shorted heading into the vote, with hedge funds owning more than a third of Interserve stock, data from Refinitiv showed. The brokerage arms of two leading investment banks – Goldman Sachs and JP Morgan – which can help funds bet against a company, were among the top-10 holders. At the close of trading on Thursday, two hedge fund firms – Brightsphere Inc and Millennium International – had ‘short’ positions in Interserve greater than 0.5 percent, Financial Conduct Authority data showed.